The Kill Em All Let God Sort Em Out is two sided print in black. 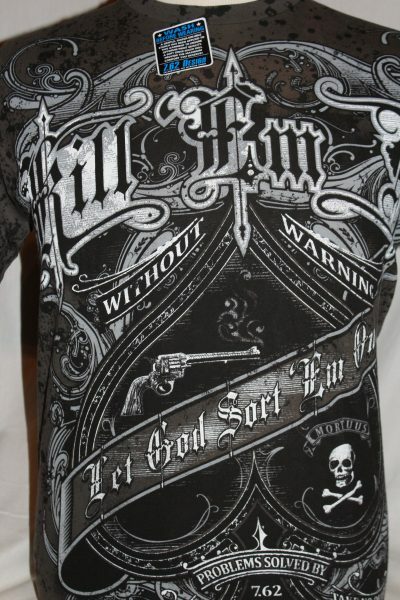 Font design shows revolver, skull, and text in colors white and grey. 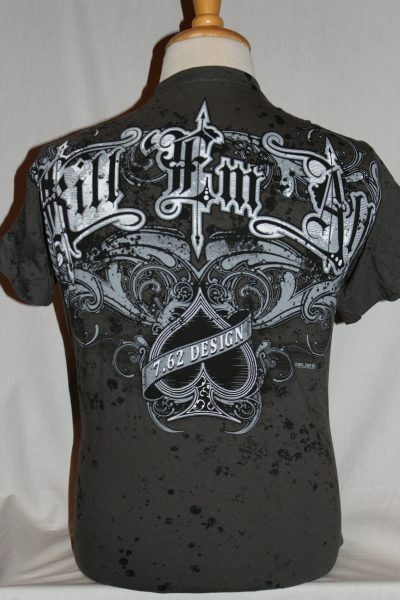 Back design shows a similar design and text in colors white, and grey. Premium 4.7 oz. t-shirt. 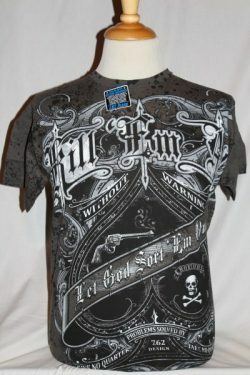 100% Preshrunk Cotton in color black.. This shirt will retain its original color through multiple washing's.